Our Myths of the World: The Heart of Desolation Walkthrough will be your very own survival guide as you wade through the dragon's terra cotta army in search of a way to restore the balance of good and evil. Rely on our detailed instructions, our custom marked screenshots, and simple puzzle solutions to fight your way to success in this thrilling hidden object adventure game. Looking for some heart-pounding excitement in your life? We’re here to help! 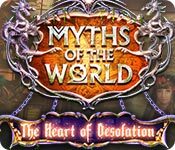 Newly posted is the Myths of the World: The Heart of Desolation Walkthrough bursting with customized screen shots, easy-to-follow instructions and hidden object and puzzle solutions to guide you through this mesmerizing adventure of a lifetime. Refer to this supplemental guide to help you navigate through the treacherous terrain of the ancient dragon filled valley as you battle the Dragon King’s terracotta army. All in a day’s work, right? What was supposed to be just another mission has taken a turn for the worse. Your plane has been attacked by a dragon and it is up to you to help save civilization and restore the balance of good and evil. Reference our seven chapters of detailed instructions, screen shots and puzzle solutions to help you complete the mission of a lifetime! 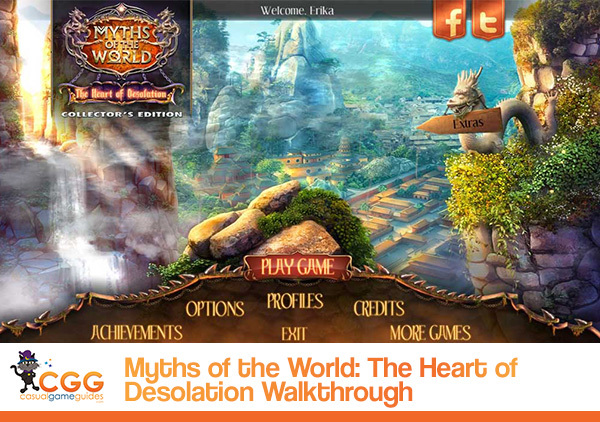 We hope you enjoy Myths of the World: The Heart of Desolation Walkthrough!